If you were a D&D module, which module would you be? Phil Anderson asked this question on G+ and I thought it was a fun one to ponder. The module has more than one clever pun in it. That’s how I like to make people run away. It’s quirky. I like to think my 12d6 quirks help me be a better GM. And it has personality. Now, I’m not saying I have great personality too. Just sayin’ I’ve got one. Somewhere. Shoot, I think I dropped it on the bus. It’s several levels deep. And once you get to know me, you’ll learn I’m deep too. I can talk about D&D and Pathfinder. Rolemaster and Amber Diceless. Dungeon World and GURPS. Now that’s deep. But most of all, even though the module is silly, it’s fun. And as I declare with an exclamation mark every issue, I like to have more fun every game! So, if you were a D&D module, which module would you be? And why? Drop me a note and share. Or tweet me. 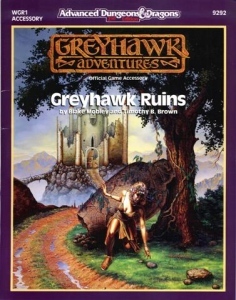 A quick reminder if you are interested in getting Roleplaying Tips as printed books. Roleplaying Tips Omnibus #1 (131 Pages). Roleplaying Tips Omnibus #2 (118 Pages). 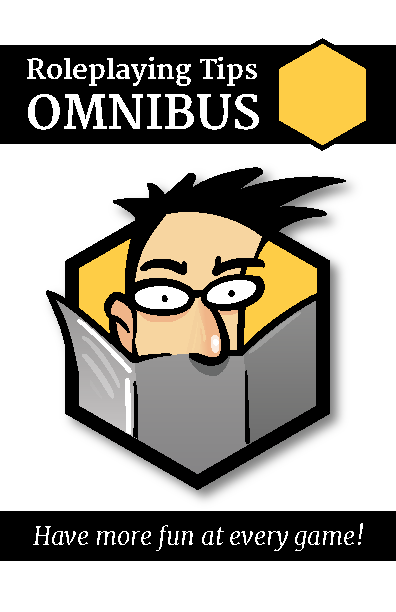 Roleplaying Tips Omnibus #3 (151 Pages). 400 pages of GM advice on your bookshelf. Cool beans! Ok, on with today’s tips about building guild factions for your worlds. Try to fit some gaming in this week! A guild is a group of artisans or merchants who joined together in an association to protect their members and control their trade in a specific area. Non-guild members attempting to ply their trade would either find themselves persuaded to sign up or be quickly run out of town. Guilds have become a popular feature of fantasy RPGs, with the idea of the thieves’ guild being almost ubiquitous. This article discusses what sorts of guilds populate a fantasy kingdom and how you can construct a capsule stat block for a guild in your campaign. How did the guild come to be, and what role has it played in your kingdom’s history? In the real world, guilds were associations of tradesmen joined together in common purpose. RPGs introduce a number of adventuring professions, each of which may have an associated guild. Tying your guild into the history of your campaign allows you to have answers if your PCs start researching it or cross swords with it and looking for weakness to exploit. Even if you do not have an expansive history written, knowing how long the guild has been around and what aims its founders have will allow you to portray it consistently in your game. Each table in this article includes an In Your Game section offering advice on how the various choices may affect your game sessions. Each table provides a series of questions. Answering them for your campaign will give you a greater handle on the events that have made up your kingdom and will personalise the guild without the need for extensive notes. Draw on the Guild Founding table or choose an option to establish how your guild originally came to be. Choose how many historical periods your guild has been actively involved in. This does not have to be exact. But if you are using our kingdom history article from RPT#681, you can simply pick a number of periods from when you created your overall kingdom history. For each period in which the guild was directly involved, draw on the Guild Events table below to determine a major event that affected the guild or that it was involved in during that period. When creating a guild we use the concept of tags, simple descriptors that can be written in your gaming notes to provide you with instant information on the structure and traditions of your guild. For example, +RICH. This article uses the concept of advantage and disadvantage. When you have the advantage on a roll, you roll the dice twice and pick the best result as the final result. When you have disadvantage, you roll twice and pick the lowest result. This does not stack. Even if you have two results that both give you the advantage, you still roll only twice and select the best result. If you have results that give you both the advantage and the disadvantage, they cancel each other out. Ace A visionary NPC saw a gap in the market and moved to fill it. This guild will be dynamic and always looking for new opportunities. It may be willing to back more risky ventures in return for a share of the profits. It may even sponsor adventuring parties. +LARGE Who was this visionary NPC? Why was he regarded as a visionary? Why had no one else formed a guild or cornered this market beforehand? 2 A union of two rich noble houses allowed one to have the finances to pursue an interest in trade and form a guild. Nobles have a great deal of power in most settings. Add in the money from trade contacts and this guild is likely to be a widespread and powerful organisation with great influence in the kingdom. +LARGE Who were the noble houses who came together to form the guild? Why were the nobles so interested in trade? Where did their initial wealth come from? 3 A group of tradesmen, tired of having their fortunes controlled by others, banded together to help set prices for their goods and ensure a fair deal. The traders are powerful in your kingdom, having a stranglehold on prices and trade goods. Anyone who attempts to rip off or bring violence against a merchant will swiftly find himself menaced by the city guard, many of whom receive kickbacks from the rich trade guild. +LARGE Who was controlling the price of trade goods before the guild? Was there tight governmental legislation on trade goods before the guild was formed? How did the government respond to the formation of the guild? 4 An idle noble, fancying himself a patron of the arts, decided to fund a guild to boost his own reputation, although he largely leaves the running of it to others. If the relationship between the sponsoring noble family and the guild is a pleasant one, the organisation will be powerful as per result 2 on this table. If the relationship has more friction, perhaps the guild is trying to break away from the noble, or he could be bleeding the guild dry. The atmosphere in your kingdom is likely to be tense. One side may enlist the PCs to help it against the other. +RICH Where did the noble get his money? Was the noble actually popular amongst artisans, or did they flatter him to get his money? Does the noble’s lineage continue to act as patrons of the guild in modern day? 5 Following a time of upheaval in the kingdom and damage to the kingdom’s infrastructure, craftspeople pulled together to help restore the buildings and public services. Finding they worked well together, they decided to formalise their arrangement following the reconstruction. Most people in the kingdom will know about the conflict that occurred in the past, referring to it in oaths or curses. Evidence of the ancient conflict may still be seen in outlying areas of the kingdom, where ruined buildings or abandoned settlements are slowly overgrown (these are great adventure sites). There will also be monuments and services held throughout the kingdom to honour those who died in the conflict and to give thanks for the kingdom’s survival. +RICH What was the upheaval/conflict that ravaged the kingdom? Who was the conflict with? How long did the conflict last? When did the conflict come to an end, and how? 6 Eager to restore the faded splendour of the kingdom’s past, a group of researchers and artisans came together to form a guild. A guild with this goal suggests the current kingdom has lost some of its ancient majesty. This will be reflected in your descriptions of the kingdom. Perhaps there are lots of abandoned villages or parts of larger settlements where the purpose of buildings is no longer understood and they’re falling into wrack and ruin. A good way to portray this is to prominently place an overgrown statue to a god no one remembers or worships. This gives the PCs a sense of history. It can be an adventure site and can also lead to a future plot. Perhaps the deity still exists in a diminished capacity and wants to make a comeback. +SMALL What splendours existed in the past that do not exist today? Why has the kingdom fallen into disrepair? What event did the guild blame for starting the kingdom’s downfall? 7 Following a bitter trade war that escalated to violence in the streets, a guild was formed to oversee fair competition and police trade negotiations. There will be grudges and vendettas that have been carried forward to the present day in your settlement despite the enforced peace. Perhaps the conflict between the traders has become colder, a proxy war in which they hire third parties to take out their enemies. The PCs could be drawn into this by investigating or perhaps stopping one of these attempted assassinations. +POOR What trade goods were at the centre of the conflict? How widespread was the violence? Who persuaded the warring traders to sit down and write up a guild charter? 8 Having witnessed the powers that guilds wielded in other kingdoms, a travelling trader founded his own guild. A guild with this background suggests your kingdom has good trade relations with foreign kingdoms. Reflect this by having periodic influxes of exotic items, such as spices and rare animals, into the marketplaces of your kingdom. +SMALL Who was the travelling trader? What kinds of foreign kingdoms did he visit? What goods did he bring back? Where did he get the money to form the guild? 9 An adventurer wins a large amount of gold on a quest but wishes to invest it rather than just spend it all. He founds a trading guild to return his investment. A kingdom that has adventurers prospering and settling down to run businesses means there are more adventure sites and avenues to gaining fame and fortune. Traders will also readily provide equipment for prospective adventurers, making sure they are heavily stocked with rope, caltrops, lanterns, and anything else they might need. Adventuring is more like a respected profession than a calling in a kingdom like this. +SMALL What quest did the hero complete to gain the gold? Did he complete the quest singly or was he part of an adventuring party? What abilities did the adventurer have that helped him set up the guild? 10 Agents of a foreign power are targeting traders for assassination. The traders band together and form a guild to protect themselves. Your kingdom is in conflict or competition with a foreign nation. They occupy a state of cold war in which each tries to spy on the other and assassinate targets they may find problematic in future. If your PCs become high profile they might be targeted, or perhaps they are hired to protect someone who is. The atmosphere in your kingdom should be one of paranoia and suspicion. Anyone could be a foreign agent, and the cold war could easily escalate into open warfare. +SMALL Who was the foreign power? What sort of traders were they assassinating? How did the assassins enter the kingdom and locate their target? Did they have help? Jack A young, eager merchant, chafing under the restrictions of his elders maintaining a monopoly on the industry, gathered some like-minded people to break free. A guild of this type suggests that either the younger traders broke through the limitations imposed on them by their elders and are now expanding by looking for new ventures to sponsor and invest in, or that they are still struggling to free themselves from the yoke of their elders. PCs could easily be drawn into either of these situations. The guild may wish to sponsor them, or they could be hired to find out dirt on one of the elders for blackmail purposes. +SMALL What goods did the young merchant deal in? How had the elders maintained their monopoly on the industry? How did the guild force out or absorb the franchises of these elders to become a serious power in modern day? Queen The well-regarded wife of a noble, known for her socialising, offers to financially back a guild in return for a cut of their profits. In this kingdom, the power is largely carved up between intermarrying noble dynasties. You can portray this by having the heraldry and symbols of the different noble houses displayed prominently in your settlements. Carve up your maps of settlements into areas under the control of different noble houses so that you can describe the changing livery as PCs move around. +LARGE How popular was the noblewoman with the members of the guild? Where did her money come from? Why did she choose to back the guild? Does her family still back the guild today? King A renowned sage or academic gathered people to help him research a personal project. After seeing how much the association sped up the process, he later formalised the association into a guild. If the guild has a guildhouse locally, chances are the area offers some opportunities of academic interest that draws sages to it. These sages will allow their services to be hired if the PCs require research material or historical knowledge. +SMALL What was the sage’s area of expertise? What was the project that his group worked on? Does the resulting guild focus entirely on academic research or have they broadened their horizons in the intervening years? Joker The founder of the guild witnessed what he believed to be divine omens that led to the founding of the guild. Some sort of extraplanar creature had an interest in the kingdom. Subtle signs of this will exist throughout the realm. If the being is infernal, perhaps there are more tieflings born here than elsewhere, or perhaps the architecture tends towards black basalt and red paint. Did the founder see a direct manifestation or were the omens more open to interpretation? Was the source of these omens actually divine or something more sinister? What were the entities’ goals? Ace The guild takes over a rival. Taking over a rival will be a period of prosperity for the guild as they absorb the other guild’s resources. However, in the present day of your setting, there may still be ex-members of the rival organisation around, perhaps still nursing a grudge against the guild. +LARGE Who was the rival? What resources did it have that the guild coveted? How did the takeover occur? Was violence involved? How did the guild benefit as a result? 2 A rival guild covering the same area of interest is founded. If this incident occurred long ago, either one guild will have absorbed the other or one of them will have moved into other areas of interest. There may still be hostility between the two agencies in the present of your setting, or perhaps the conflict is still ongoing. +POOR In what areas do the two guilds conflict? Is the conflict confined solely to trade wars or is physical violence involved? How did the local authorities respond to the conflict? 3 Following the death of the original guild founder, a period of mourning is observed. The anniversary of the death could be a holiday in your kingdom (depending on how well the guild and founder were regarded). Perhaps the citizens of your kingdom wear a particular colour or item of clothing to mark it. +SUPPORT GOVERNMENT How did the original founder of the guild die? How long did the period of mourning last? Is the anniversary of the death still marked today? 4 An influential member of the guild marries into money, releasing an influx of funds into the guild coffers. An influx of money means that your guild will have more power and influence in the present day of your setting. The guild may also have a connection with the moneyed/noble family, perhaps displaying its livery or motto on guild paperwork and signage. +LARGE Who was the influential member of the guild? Who did they marry, and was it for love or fiscal reasons? How does the moneyed partner feel about the funds being invested in a guild? 5 New legislation in the kingdom drastically curtails guild power. This suggests the guild might be weakened in the present day of your setting, or perhaps the guild overthrew the legislation and now controls/influences much of your kingdom’s government. +SMALL What did the new legislation restrict? How has the guild responded? Is the legislation still in effect today? 6 The guild received praise for sponsoring public works. The public works sponsored by the guild might display their colours, or perhaps a plaque or sculpture was erected to honour the guild that still exists in the present. +LARGE What was the nature of the public works sponsored? Did the guild do it out of altruism or some other motive? Was the guild sponsorship public knowledge? 7 Trade secrets are leaked to rivals by a traitor within the guild. There was a period of conflict in the guild’s history. If the conflict damaged the guild, its power may be reduced in the present or the conflict could still be ongoing. If your guild came out of the conflict well, it may have consolidated its power and be extremely protective of its secrets. +SMALL To whom did the traitor leak secrets? What sort of secrets were revealed? How did the guild respond? 8 The guild discovers new trade routes or sources of revenue. The guild is particularly widespread, and it is unlikely there is anywhere in the kingdom where the guild is unknown. +LARGE What was the new resource/source of revenue discovered? Was the new source of income permanent or temporary? 9 Despite a number of guild members being imprisoned, the guild protests new laws and eventually has them overturned. The guild has a great deal of public sympathy (people love the underdog) and is covertly aided by those who do not support the current government. +LARGE How did the public respond to the new law and the imprisoning of the guild members? Did the guild continue to provide services or strike in protest? Did any guild members escape prison? 10 An influential member of the guilds retires and publishes his memoirs. The guild may have strict legal requirements for future members to prevent such a thing from occurring again. In a high magic world, there may even be a mystical form of non-disclosure agreement imposed on members. +SMALL What scandalous secrets were revealed in the memoirs? How did the guild respond to the publication? Was the author allowed to continue his life as normal or was he hounded by the guild? Jack A new adventure site relevant to the guild’s interest is discovered. The guild sponsors adventurers and is willing to back potentially risky ventures. +LARGE What was the adventure site? Why had it not previously been discovered? What were the potential benefits and dangers associated with the site? Queen A noted adventurer joins the guild. How popular was the noblewoman with the members of the guild? Does her family still back the guild today? What was the adventurer’s speciality/class? What notable deeds did the adventurer accomplish in his career? What made him want to retire/join the guild? King The leader of the guild retires and is replaced by a young visionary. The guild is currently filled with a wave of optimism. It is actively recruiting and attempting to expand into new areas. +LARGE Did the previous leader retire voluntarily or was he encouraged? What changes did the new leader make? How was the new leader regarded by the other guild members? Joker A prominent member of the guild receives a visitation that changes his plans. If the guild believes in the visitation, its members may have a religious zeal and be more likely to take extreme sanctions against their enemies. If it does not believe in the visitation, it may be plotting to remove the person who had the vision. Where did the visitation originate – infernal, celestial, something else? What was the purpose of the visitation? How did the member’s plans change afterwards? Does The Guild Threaten Or Support The Current Rulership? The easiest way to decide whether or not your guild supports or opposes the current government of your kingdom is to add up the number of +SUPPORT GOVERNMENT and +OPPOSE GOVERNMENT tags gained on the two tables above. Whichever side gets the most tags is the winner. If you wish to add a little more randomness, deal out a number of cards face down equal to the total of +SUPPORT GOVERNMENT and +OPPOSE GOVERNMENT tags. Flip them over one by one. If you end up with more BLACK cards, your guild supports the government. If you have more RED cards, your guild opposes the government. A guild that supports the government will vet its members thoroughly and might report any seditious activity to agents of the current rulers. It will also be more entrenched in the existing power struggle and receive preferential treatment from government agents. Characters who belong to a guild known for publicly supporting the kingdom’s rulers may be able to use their membership to get away with minor crimes. This is represented by giving members of the guild the Advantage when dealing socially with members of the kingdom’s ruling hierarchy. They have Disadvantage when socially dealing with people who oppose the current regime. When a guild opposes the government, it is likely to receive less funding and be the object of continual harassment by government officials (especially if the opposition is open). This is represented by the members of the guild receiving a Disadvantage when dealing socially with members of the kingdoms ruling hierarchy. However, they do gain the Advantage socially when dealing with others who oppose the government. Does the guild publicly oppose the government? If opposing the government, what form does this rebellion take? How much influence does your guild wield within the government? Is your guild part of an organised rebellion? How Does The Guild Relate To Others, And What Organisations Is It Allied With/Opposed To? You should be able to judge from options selected on the first two tables above whether or not your guild is in active competition with another organisation. If you want to add a more random element, deal out four cards face down and turn them over. Each RED card is an opposed organisation and each BLACK card is an allied organisation. If your guild is actively opposed to another agency, you should at least sketch out the details of the opposing agency so you have that information ready for your game. The conflict can be shown on a low level. Perhaps two merchants across the street from each other continually attempt to undercut each other’s prices. An alternative is to have the conflict escalate to open rivalry or perhaps even physical altercations the PCs can witness in action. Tired of the price war, one of the merchants hires a thug to rough up his rival and destroy some of his stock. This escalates with the second merchant calling on the aid of his guild brothers to hire security. He has members of an affiliated Thieves’ Guild plant illegal items in his rival’s stock and alerts the guard. Does the guild maintain friendly relations with other organisations? If it opposes another organisation, what form does the conflict take? Has the guild been attacked or damaged by a rival in the past? How does the conflict affect the life of the average citizen? What Role Does The Guild Play In An Average Person’S Day-To-Day Life? All of the information we’ve decided upon is useless if it does not get seen in your game, so you need to decide how much of a presence the guild has in your kingdom as a whole. Total up the number of +LARGE and +SMALL tags based on the choices you have already made. If there are more +SMALL tags, the guild has a slight presence. You should occasionally mention seeing a sign outside a shop saying “guild registered” or have someone mention them in passing, but the average person will largely be ignorant of them. If there are more +LARGE tags, the guild has a widespread presence. Any PC exploring a settlement will come across numerous signs outside traders proudly proclaiming guild membership. Guild emblems and heraldry will be displayed on most street corners, and the average citizen will certainly have a basic knowledge of the guild’s structure. How omnipresent is the guild in everyday life? Does the guild restrict its activities to its specific area of interest or has it diverged into related areas? What does the average person know about the guild? How Prosperous Is The Guild And What Does It Demand From Its Members? Add up the number of +RICH and +POOR tags your guild acquired on the two tables above. If there are more +RICH tags, the guild is currently prospering, otherwise it is struggling financially. Should you want a little more randomness, you can use these tags as the basis for a card draw (as detailed in the Does the guild threaten or support the current rulership? section). If a guild is prosperous, it will also possess more power within your kingdom. With money, it can buy the ear of politicians, nobles, and perhaps even the rulers of the kingdom itself. Members of a prosperous guild have the Advantage when dealing socially with people who value money (such as nobles and businessmen). A guild that is poor has to scratch for every member, often developing alternate contacts and resources outside the law to help give it an edge. Members of a poorer guild have the Advantage when dealing socially with criminals or those on the wrong side of the law. Guilds most often require some form of tax or concessions from their members, the money being put towards the upkeep or guild-houses, hosting meetings, buying resources for the guild, or making charitable donations. Prosperous guilds can afford to be choosy with their membership and will only want to attract those with sufficient wealth or resources. Choose 3-4 options from the Guild Dues list below. Poorer guilds cannot rely on their reputation to attract members. However, because of this, they do not gouge their members for their dues as much. Choose 1 option from the Guild Dues list below. 10% of any trade sales made by the guild member. A flat fee of 10GP per year. 10% of any treasure recovered from adventuring. 12 hours service donated to guild community projects a month. A single item donated to a monthly guild raffle. Tickets are sold to raise funds for the guild with the donated items going to the winner. Where does the guild get its money from? How sustainable is its wealth in the long term? What can a poor guild offer to members? Was the guild once poorer or more prosperous than it is today? What led to the guild being in its present state? How Might The PCs First Encounter The Guild? If you want your guild to feature prominently in your game, the PCs are going to have to come in contact with its existing members. If your guild is +LARGE, this isn’t difficult because it has people on every street corner and open recruiting stations. For smaller guilds, this is more difficult. 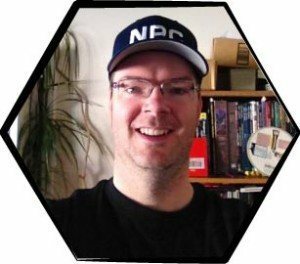 The most straightforward way to bring a guild into your game is to have the guild approach or target the PCs for recruitment. However, this relies on the PCs having skills or abilities that complement the guild’s existing skill set or the guild desires. Another way is to have the PCs witness existing members of the guild benefiting from their guild affiliation. If you want to make it even more obvious, have a guild member offer to help the PCs obtain rare items, such as spell components, on condition they sign up. Do the guild’s interests intersect with those of the PCs? Does the guild have public recruitment offices in your kingdom? Is there an NPC who serves as a public point of contact for the guild? Are most traders/adventurers members of the guild? Below are a number of adventure hooks involving guilds. You can either select one or draw a playing card to get a result. The plot hooks below are general so they can be imported into the maximum number of campaigns, but you should feel free to personalise them for your own campaign. Is this guild likely to actively target the PC for recruitment? Are there any trials a prospective member must pass before being accepted? Does the guild sponsor adventuring expeditions? Does the guild have rare or esoteric knowledge that can be provided to members? Ace The guild is holding a competition to create a new sculpture to honour a notable event. The winner will receive free guild membership for a year. 2 A local guild is looking for an adventuring party to sponsor. 3 The PCs are hired as security for a guild celebration. 4 Members of a local guild are getting married. But during the public procession and celebration something goes wrong. 5 As a test of their worthiness to join the guild, one of the guild masters sets the PCs the task of stealing an item back from a rival organisation, taken when the two guilds clashed years before. 6 A guild member asks the PCs to help him smuggle an illegal item into a settlement. 7 The PCs witness a guild member being robbed by the member of a rival organisation. 8 The PCs are hired to rough up and discourage a burgeoning rival guild that is trying to set up in the area. 9 A local member of an adventurers’ guild has gone missing in a famous dungeon. His family hires the PCs to investigate. 10 The PCs come across the corpse of a murdered guild member. Jack The PCs are approached by a public recruiter singing the praises of his guild. Queen One of the local adventurers’ guilds has maps to a huge underground cavern reputed to be crammed full of riches. The maps are enchanted so only guild members can read them. King A local politician believes there is a dark power behind the rise of a guild and hires the PCs to investigate. Joker Rumours begin to circulate of a demonic creature stalking members of a particular guild.